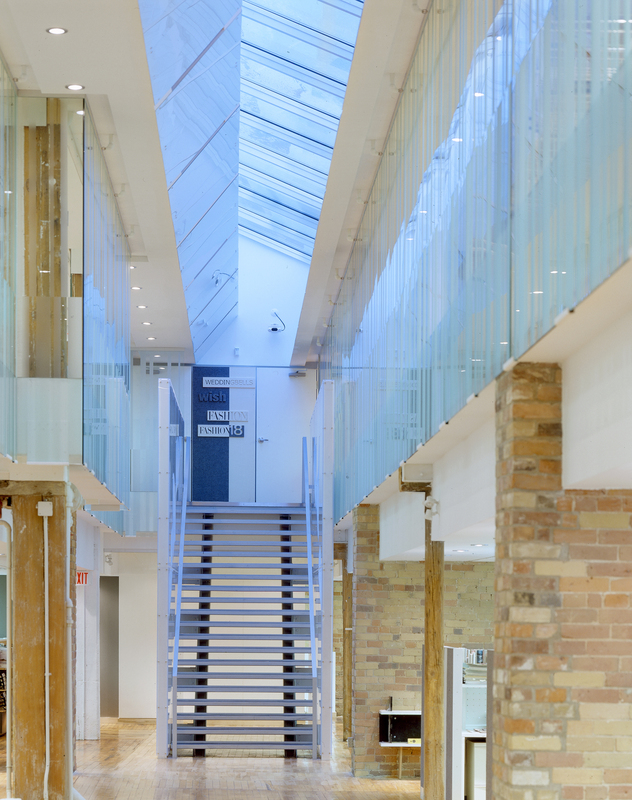 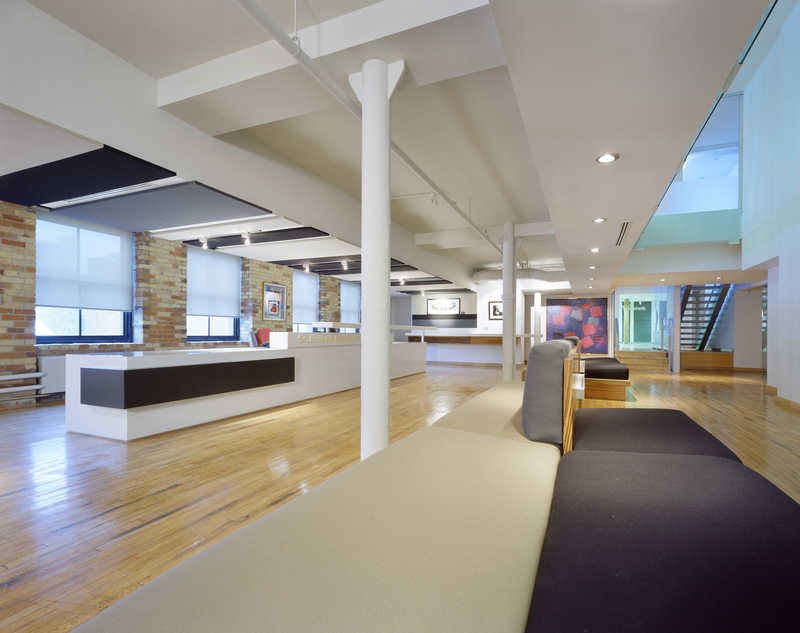 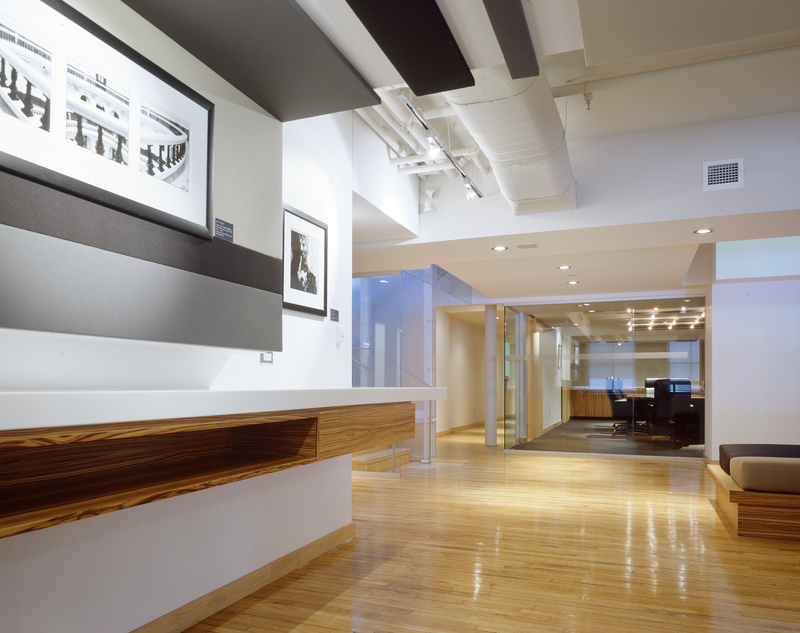 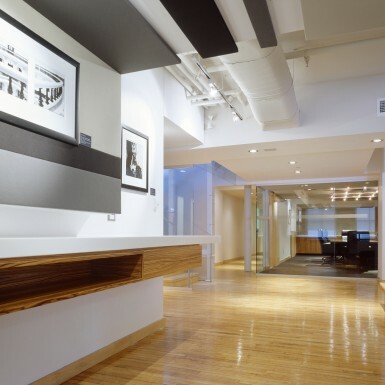 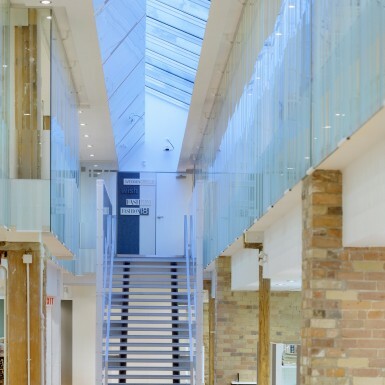 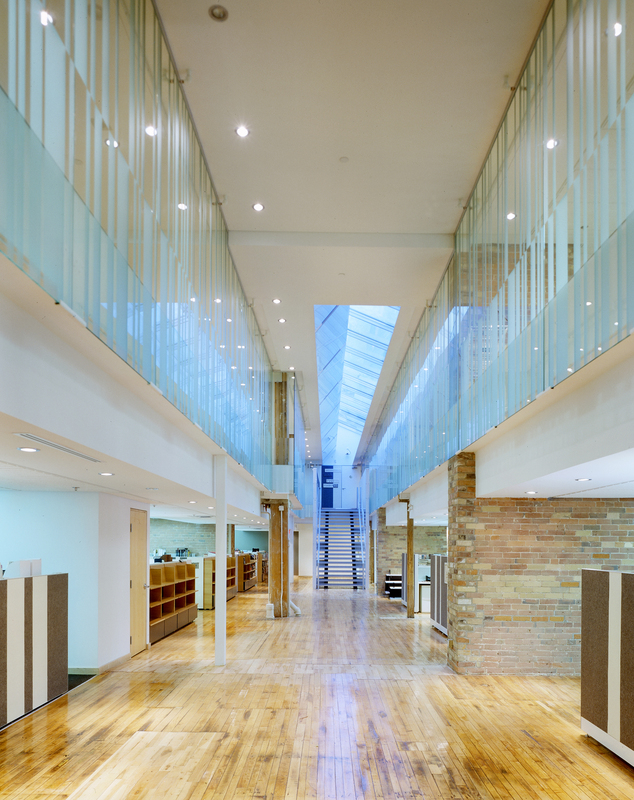 This design for a large media company brings several previously dispersed publications together in a consolidated location on Queen Street East in Toronto. 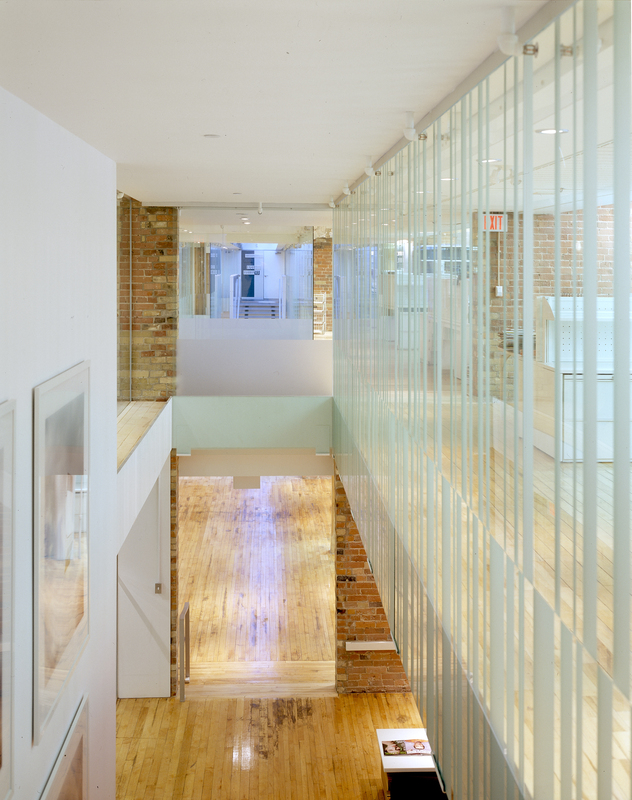 The site is unusual in that it includes the third and fourth levels of adjoining 19th-century warehouse buildings. 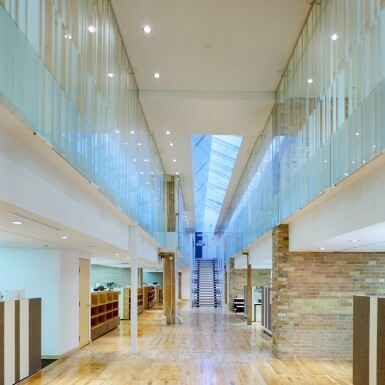 The introduction of a sky-lit galleria unifies the space as well as the new company identity, bringing together over 250 employees and 12 different magazines. 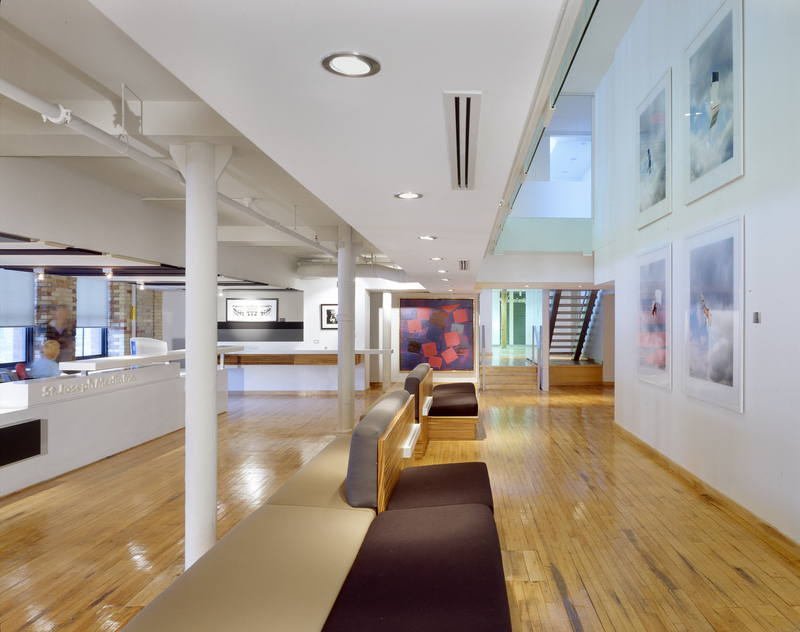 The design allows each publication to retain its individual identity while capturing the synergy of the whole. 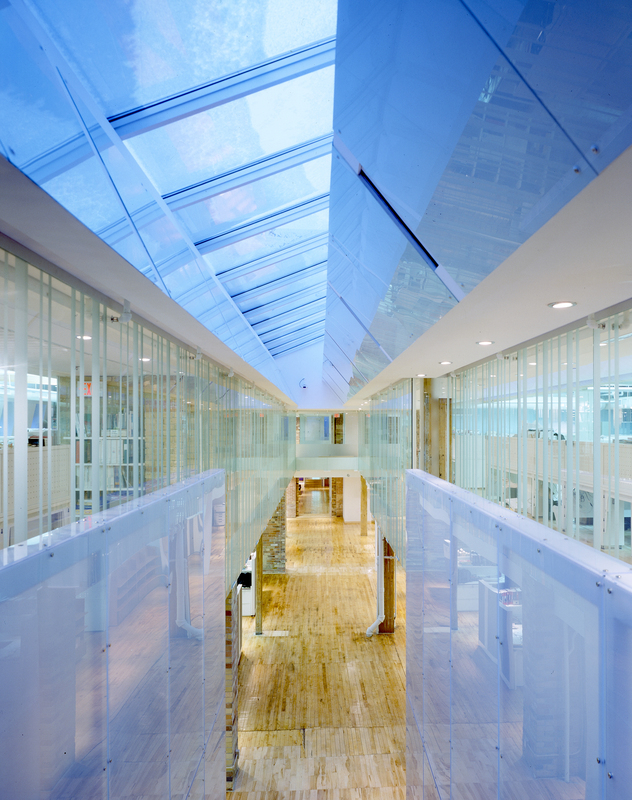 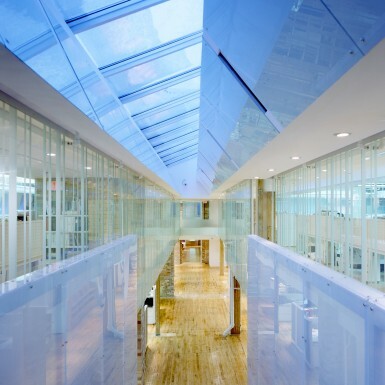 The double-height hall unites the companies both socially and functionally—shared meeting rooms, reception, administration, a large lunchroom and an outdoor terrace overlook the city.